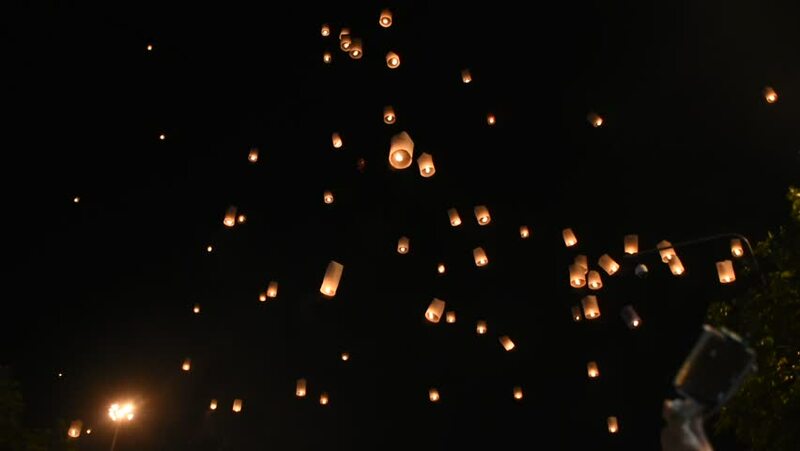 Lanterns release floating for happy new year. 4k00:18Floating lanterns in Yee Peng Festival, Loy Krathong celebration in Chiang Mai, Thailand. Telephoto zoom view.